I seem to have a thing for notebooks, sketchbooks, journals, basically anything paper. What I love best about them (aside from everything) is being able to personalize them, to make them your own. 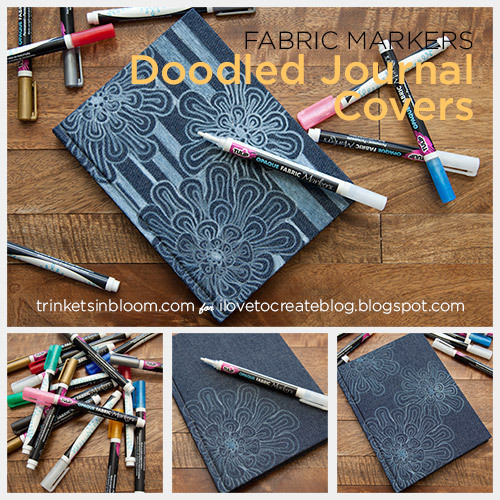 Many journal or sketchbook covers are fabric which makes them perfect for decorating with drawings or doodles using fabric markers. 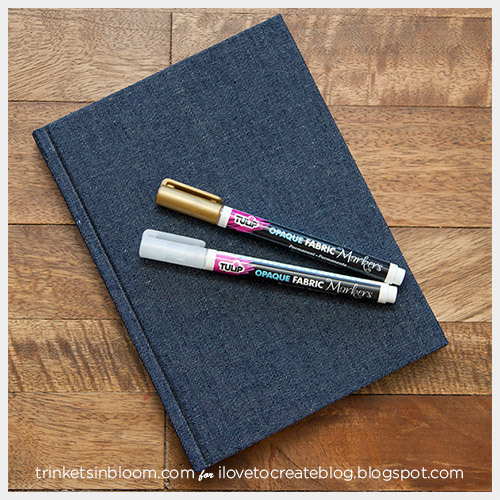 For lighter colors you can easily use the regular fabric markers but for dark colors Tulip’s Opaque Fabric Markers work perfectly! 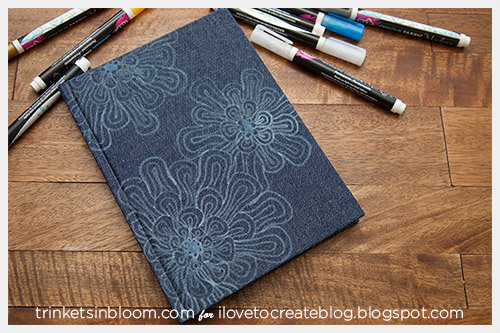 With back to school right around the corner, decorating a new sketchbook or journal is a perfect way to get ready for the new school year. Let’s get started! 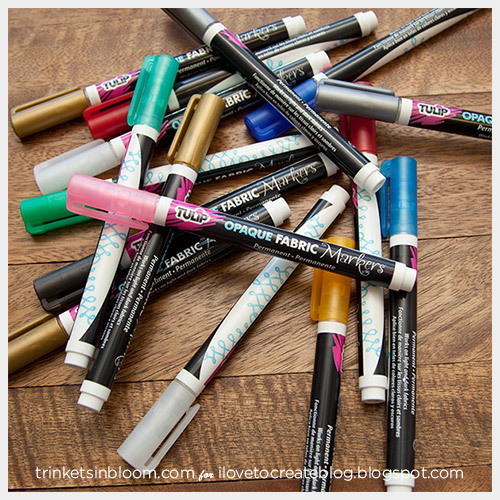 The markers come in lots of colors! Decide on your design. I created a design in my sketchbook first. 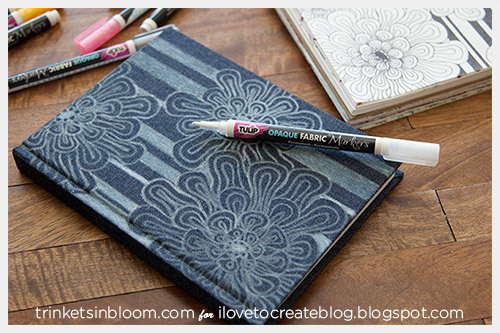 The Tulip Opaque Fabric Markers work really well so you can really personalize it. 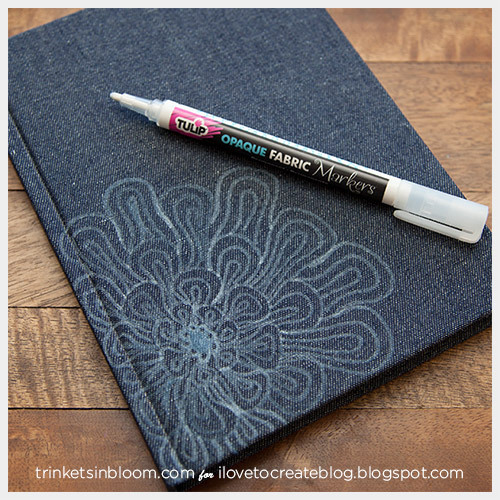 To start the opaque fabric markers you will need to shake them and then press down on the tip until the ink starts to flow. With the colored markers you can see the ink moving down the felt tip. 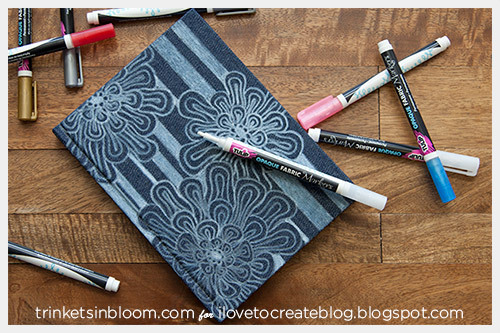 With the white markers you can't see the ink coming down, so it's best to press them onto a colored piece of paper or fabric. 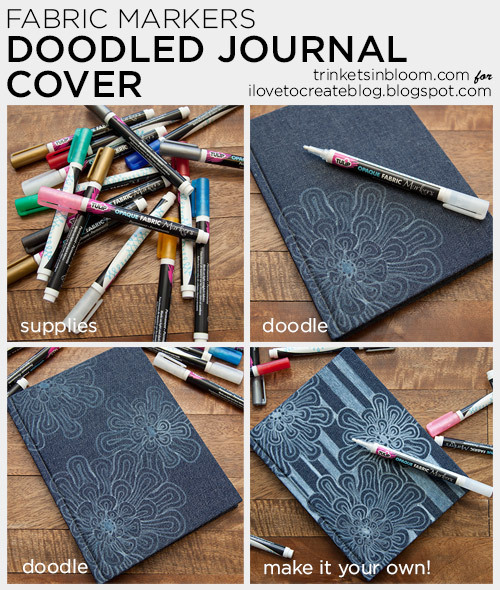 Start drawing on your cover. Have fun with it and really make it your own. If it seems like your markers are soaking into the fabric and you’re not getting the color you want, wait until they are dry and go back over your lines to get a stronger color. 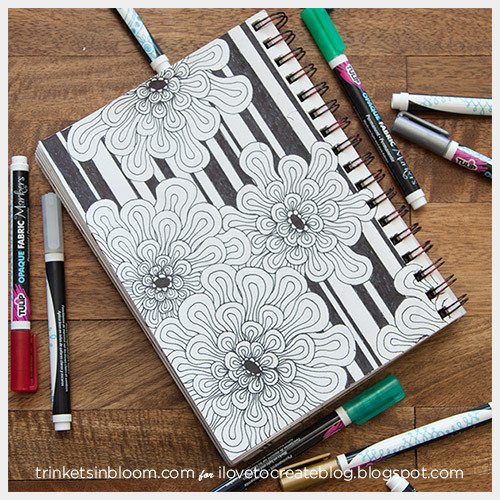 To see more fun and fashionable DIY projects be sure to check out my blog Trinkets in Bloom! It's a great customization. I will show this post to my friends https://essaydragon.com/blog/sociology-major here.